The 3 Tier Frilly Towers Cupcake Stand is one of our absolute favourite products because of its versatility! 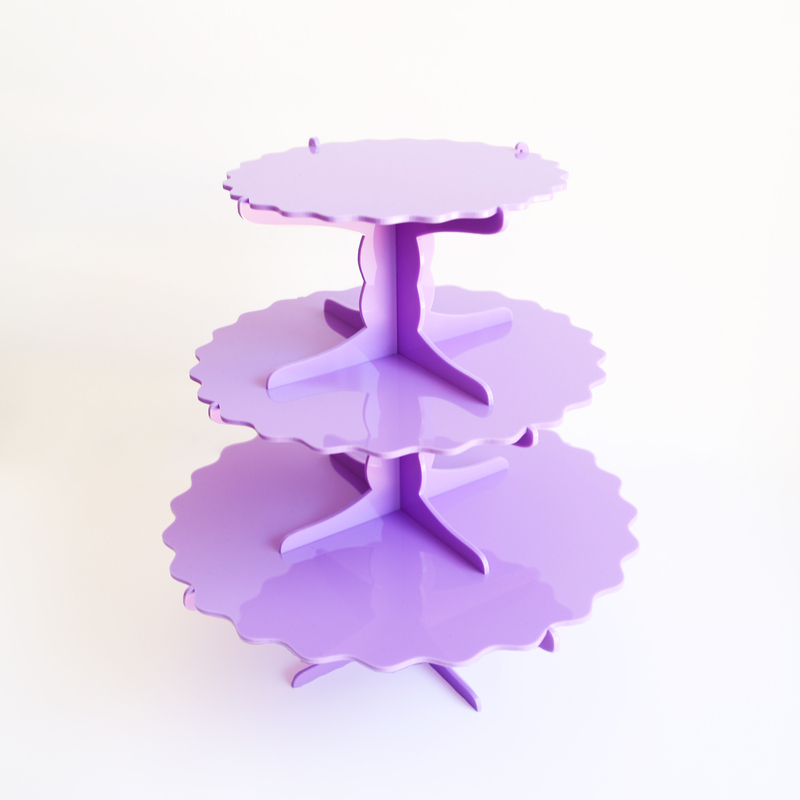 Watch the video to see how it magically transforms into 3 different stands. Capable of holding up to 20 standard sized cupcakes, plus it’s available in 15 of our gorgeous acrylic colours. Made of sturdy 3mm acrylic. 28cm wide x 34.2cm high. Bottom plate diameter measures 28cm.